ESL Job Link is a teacher recruitment agency based in Maple Grove, Minnesota. 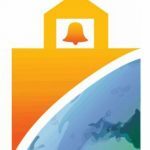 Our mission is to help teachers find reputable teaching jobs in South Korea. We are excited to partner with TeacherReady because our partner schools in South Korea are eager to hire certified teachers. TeacherReady is also a valuable resource for our teachers to pursue a teaching career before or after teaching in South Korea. Some of the basic qualifications for teaching in South Korea include candidates to have a bachelor’s degree and be an American citizen with no criminal background. You can contact ESL Job Link at info@ESLjoblink.com or call at 612-812-5114.